Carfts aren't just for kids. Creating a romantic atmosphere can be as simple as dimming the lights and lighting a few candles, but when Valentine's Day rolls around, sometimes is nice to throw a little sweet decor into the mix too. 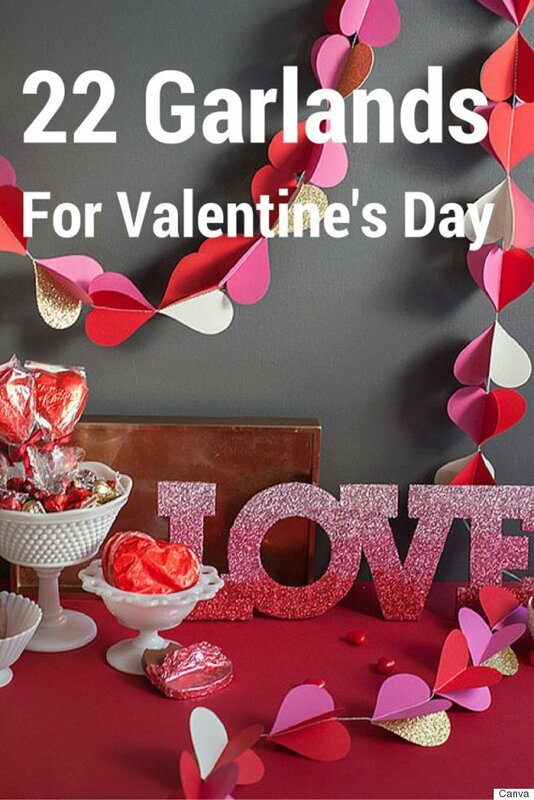 In the slideshow below, we've rounded up 22 fun and easy Valentine's Day garlands you can make at home. From paper cut-outs to fabric and ribbon creations, these crafts make the most of scrap materials found around the house.